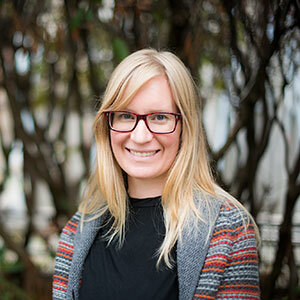 Dr. Kora DeBeck, PhD, is a Research Scientist with the BC Centre on Substance Use and Assistant Professor in the School of Public Policy at Simon Fraser University. Her research focuses on informing and evaluating health and policy interventions to reduce health and social harms among people who use drugs, with a particular focus on the prevention of high-risk drug use, infectious diseases, and other health-related harms among street-involved youth. Dr. DeBeck is currently the Principal Investigator of the At-Risk Youth Study (ARYS), a US National Institutes of Health-funded ongoing prospective cohort study of more than 900 high-risk, drug-using street youth. Established in 2005, ARYS aims to explore the individual, social, economic, and environmental factors that influence the health and well-being of street youth in Vancouver. Dr. DeBeck has authored more than 70 articles in various areas of addiction research and knowledge translation, including injection initiation, addiction treatment, illicit drug policy, drug law enforcement, low-threshold income generation, and emerging risks for HIV infection and transmission among people who use drugs. Her research is supported by a Michael Smith Foundation for Health Research and St. Paul’s Hospital Foundation–Providence Health Care Career Scholar Award and a Canadian Institutes of Health New Investigator Award.